"Lately I bought a LG Optimus, and it's pretty nice as an android phone. As I used to be an iPhone user, I'm not quite familiar with the android system and have no way to transfer some of the files from the phone to my computer. My friend told me to back up my data with LG PC Suite, and I followed her suggestions, but somehow it malfunctioned. I don't know how to deal with it. Is there any other alternative software that can replace the LG PC Suite? Thank you very much." The market of smart phone has been booming year by year. And android cell phones are the typical ones among them all. When we talk about the brands of android phones, which one occurs to you at first? Samsung, HTC, LG? All right, these three are the representatives of android smart phone. Of course, android phone is very useful due to its android system. But it can be really tricky when you want to back up some data on your computer. Let's take LG phone for example. People usually use LG PC Suite to transfer their files to computer. But many LG users found that it sometimes didn't work at all. So they want to know whether or not there is an alternative tool to help manage their data. 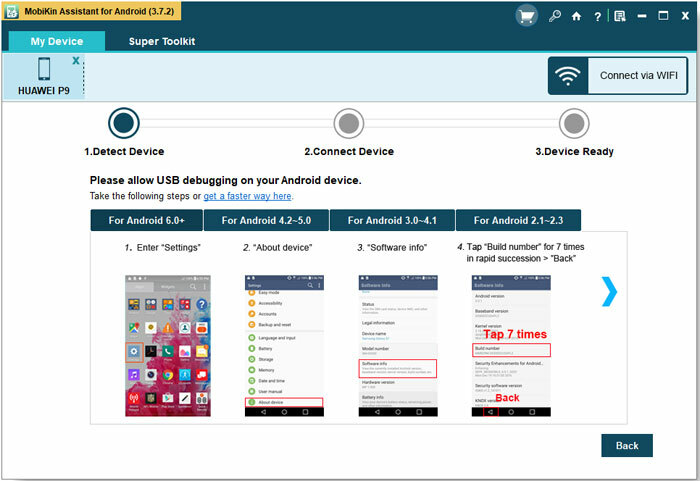 To cope with this situation, you need a very stable third-party application to manage all your data from LG phone. It must not break down all the time and have to function well. Here I want to provide an awesome LG PC Suite alternative software for the LG users: MobiKin LG PC Suite Alternative (Windows & Mac). Unlike most of the free apps on the internet, it has a lot of advantages such as high steady condition and security. 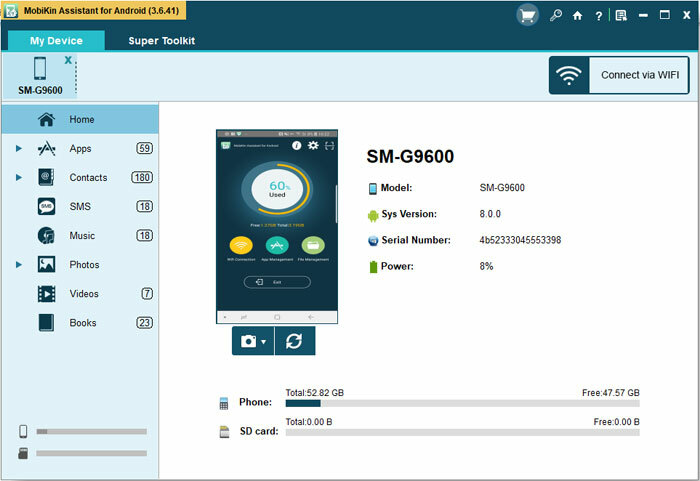 With this tool, you can transfer whatever files such as contacts, text messages, photos, videos, and music and so on from the LG phone to your pc without question. And you no longer have to concern that it may crash all day. Isn't it amazing? In the following parts of the article, I will guide you to use this LG PC Suite alternative software hand by hand. First, you can choose a free trial version, and download it to your personal computer. Then, install the software on you pc before you launch it. The two versions are as follows, and you can download one of them by clicking it. Note: If you have enabled the USB debugging before, just skip the procedure mentioned above. Click "USB debugging opened" and "Next" at the bottom of the interface. Now that the software has detected all your files, you can edit everything you want on your computer. For example, you can click "Contacts", and the names and numbers will be displayed on the right panel. Then you can choose which ones to back up and which ones to delete. It's totally up to you. Apart from the contacts, files like music, photos, videos and books can also be edited by you within a few clicks. It can't be more convenient for you to manage your data on your LG phones. It is compatible with many other android phones, too. So download the LG PC Suite alternative program now and it will definitely surprise you!